Before starting it is always good practice to confirm you have the correct amount of materials. When ordering it is recommended to order the additional 5% of decking boards due to the cutting wastage. 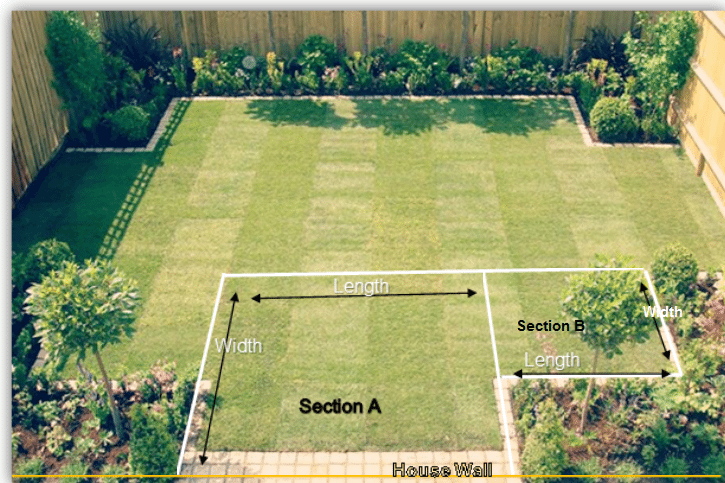 If adding a 45 degree diagonal layout it is required to allow 15% extra for cutting wastage. Measure your area by multiplying the length distance by width distance. Also make a note of the height and the length of visible edges. To determine the quantity required please use our online calculator below that will add the 5% or 15% as you select your options. Your substructure is calculated by multiplying the square metres by 4 to give the total number of joists in metres. The Concealed Starter fasteners that secure the decking around the perimeter of the decking area is calculated by total square metres multiplied by 4. We understand that each is project is unique, for any questions or specific requirements our expert team provides a tailored service to calculate your materials for you.